Teach Me How To Study! – Mr. E! The Motivator! presents Empowering Perspectives! Mr. E! The Motivator! presents Empowering Perspectives! Teach Me How To Study! Posted on November 28, 2014 November 28, 2014 by Mr. E! The Motivator! An Awesome Black Friday My People! 1. Ask yourself these questions: What should I study? When should I study? and How should I study? 2. Memorize – Read your source or notes over and over until it sticks in your mind. Studying is about building strength in recalling information. 3. Read Actively – As you read make sure that you are focused on your source and only your source. Don’t think about anything else during your study time. Focus! 4. Take Notes – Jot down the important stuff in a way that you can remember. Use icons and such to trigger your memory when you go back over it again. 5. Manage your time – Don’t burn yourself out on study time. Even television shows have commercial breaks! Take a break, grab a snack and jump back in. Beef up your study Skills and beef up your “A” Game… Get It? ← What is a Network? Mr. E! The Motivator! Tweets! Mr. E! 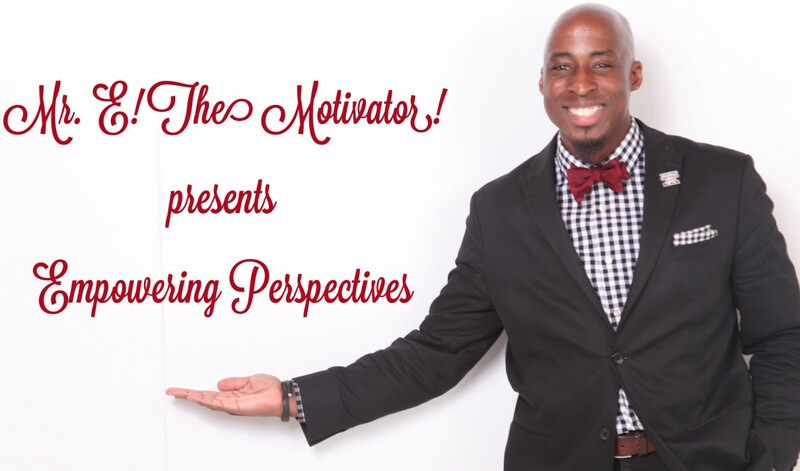 The Motivator on Facebook! Mr. E! The Motivator on Instagram! Pre-Order Mr. E’s New Book!